Lighting ordinances are an important tool for setting reasonable limits on light pollution. IDA encourages cities to adopt and enforce ordinances that call for shielded, downward-pointing lighting, curfews and other sensible controls. Doing so conserves energy and helps to minimize glare, light trespass and skyglow. In 2011 IDA and the Illuminating Engineering Society of North America approved the Model Lighting Ordinance, an outdoor lighting template designed to help municipalities develop outdoor lighting standards that reduce glare, light trespass, and skyglow. The MLO is a valuable guide for environmentally responsible outdoor lighting in North America that encourages the broad adoption of comprehensive outdoor lighting ordinances without burdening cities with the extensive staff time and resources needed to develop their own codes. The MLO offers several innovations to outdoor lighting regulation, including the use of lighting zones to classify land use with appropriate lighting levels for each. The MLO also makes use of the “BUG” (Backlight, Uplight and Glare) classification of outdoor lighting fixtures to ensure that only well-shielded fixtures are used. 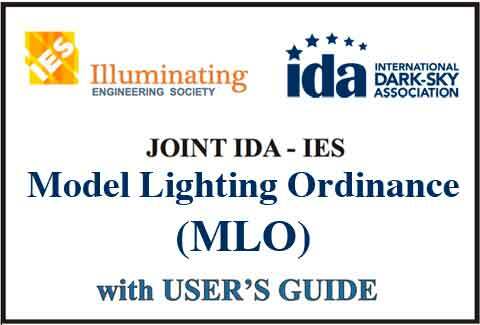 IDA, along with other partners in the lighting industry, has also developed model outdoor lighting legislation for states [link to state leg pdf]. This model was the basis of the light pollution law enacted by the State of New York in 2014. As many communities move to embrace LED lighting, the landscape of nighttime lighting is changing rapidly and dramatically. 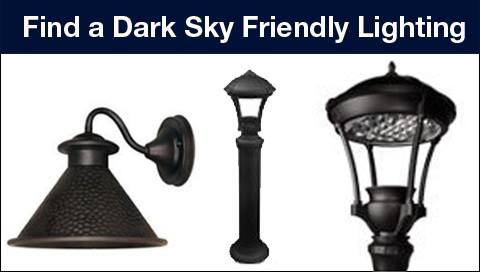 While some industry representatives tout these new fixtures as being “dark sky friendly,” that’s not necessarily the case.